As Zika spreads in Florida, modified mosquitoes may be the best bet for staunching an epidemic. But are locals in support? As Zika continues to spread throughout the United States, officials are considering a new, controversial means of staunching a domestic outbreak: genetically modified mosquitoes. Oxitec, a United Kingdom-based biotech firm, is spearheading the project, the first trial run of its kind to release genetically engineered mosquitoes in the U.S. After review — and with input from experts in the Environmental Protection Agency and the Centers for Disease Control and Prevention—the Food and Drug Administration found on Friday that Oxitec’s proposed field trial in Key Haven, Florida, “will not have significant impacts on the environment.” Local officials and residents will vote officially on the matter in November. Key Haven, an insular community in the lower Florida Keys, has been a hopeful target for Oxitec’s engineered mosquito line for the last five years. The biotech company first pitched Key West officials in 2011 following an outbreak of dengue fever — the likes of which hadn’t been seen for decades — from a strain unique to the region, according to reports. Though dengue infections have subsided in recent years, Zika, another mosquito-borne virus carried by the same Aedes aegypti species, is very much on the rise throughout the state. And Oxitec is trying to capitalize on the new outbreak. So far, Miami appears to be ground zero in Florida for the virus, which puts pregnant women at risk of birthing babies with microcephaly, a birth defect characterized by small heads and developmental delays. In the Florida Keys, officials fear that the region’s moist tropical climate and influx of international tourists could be an invitation for the virus. Releasing genetically modified mosquitoes into the area could be the best defense for preventing another mosquito-borne epidemic, some experts feel. The biggest challenge will be convincing Florida Keys locals to agree. 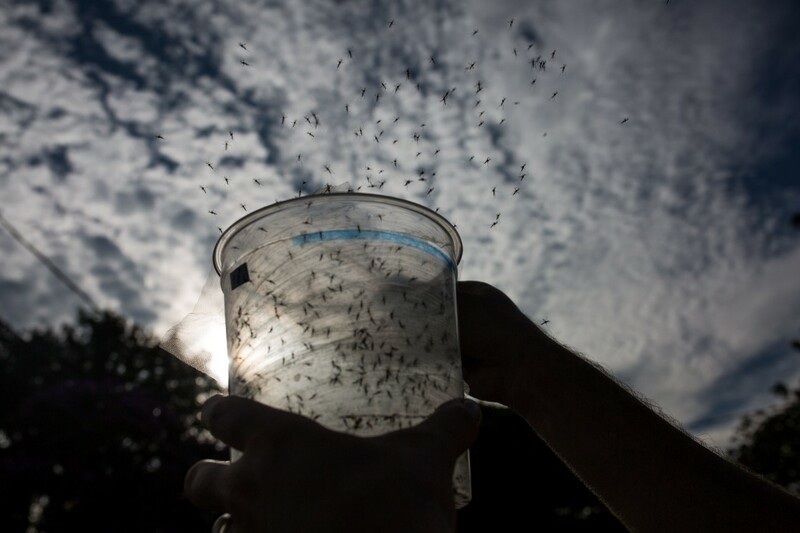 A survey last year by researchers at the Johns Hopkins Bloomberg School of Public Health found that 58 percent of residents either opposed or strongly opposed the use of genetically modified mosquitoes in the Florida Keys. Respondents’ worries included unknowns around the ecological effects of eliminating mosquitoes from the food chain, and whether releasing engineered mosquitoes could open the floodgates to widespread use of other GMOs, like crops. Once the mosquitoes are released into the wild, critics note, there’s no going back. Releasing genetically modified mosquitoes into the area could be the best defense for preventing another mosquito-borne epidemic. Some of those anxieties appear to be unfounded. Oxitec’s male Aedes aegyptimosquitoes are genetically engineered to pass along a fatal gene to their offspring so that they die before being able to breed. The same gene also eventually kills any adult males released by scientists into the wild. The males are engineered with two copies of the flawed gene instead of one, bolstering the probability that their offspring will inherit their fatal genetic traits, and not the healthy DNA of their wild mothers. Oxitec’s controversial premise, though somewhat new in the U.S., has already shown promise around the world. In a 2012 article for Pacific Standard, Linda Marsa chronicled Australia’s 2009 dengue fever outbreak — the worst epidemic in about 60 years — and the revolutionary role genetically modified mosquitoes, like those pioneered by Oxitec, played in eradicating the disease. Marsa describes visiting the University of California–Irvine lab of Anthony James — a geneticist who has worked with Oxitec — and watching his colleague inject male Aedes aegypti mosquito embryos with copies of the lethal gene that will eventually kill them. 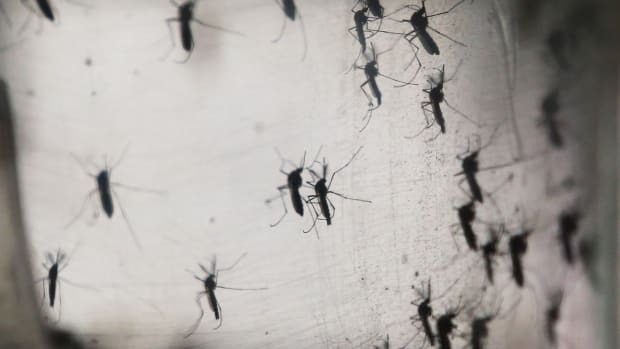 Up until that point, Oxitec’s most recent field trials in the Cayman Islands— during which 3.3 million mosquitoes were released in 2010 — successfully eradicated about 80 percent of the region’s native population within six months’ time, Marsa wrote. “Unable to fly, the new females couldn’t spread the disease or even mate. Researchers came up with the tactic when they realized one region of the mosquito DNA regulated the development of flight muscles for female larvae but not for males — which meant it could be easily manipulated to wipe out females. The World Health Organization acknowledges that genetically modified mosquitoes show epidemiological promise. 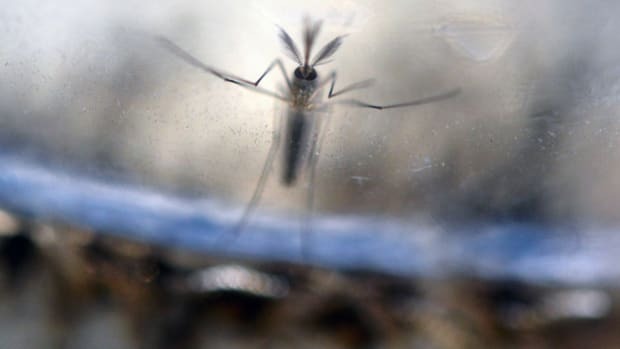 But there is simply not enough data yet to say in confidence that genetic engineering is a steadfast solution to eradicating mosquito-borne disease, the WHO cautions. For now, the organization recommends carefully monitored pilot projects, much like the field trial Oxitec is proposing in the Florida Keys. Officials from Oxitec and the Florida Keys Mosquito Control District have their work cut out for them in the weeks leading up to November’s vote. A Change.org petition condemning Oxitec’s “mutant bugs” has more than 169,000 supporters and counting. 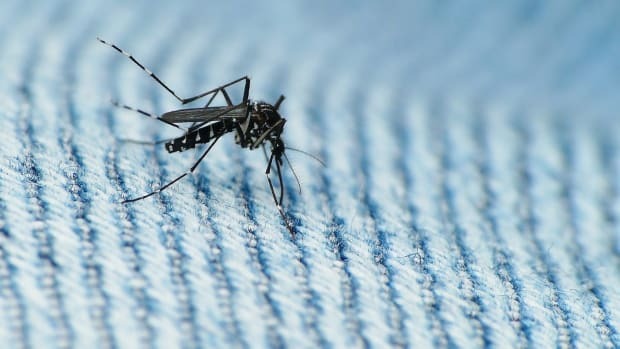 Although only female mosquitoes have an appetite for blood, common fears among petitioners include being bitten by a genetically modified male, and possibility of the mosquitoes developing a resistance to the lethal gene they’re injected with. Proponents of genetically engineered mosquitoes ensure that their DNA cannot migrate to other mosquito species or insects, as males only reproduce within their own species. And, perhaps most importantly, engineered mosquitoes can also reach areas that toxic insecticides simply cannot. 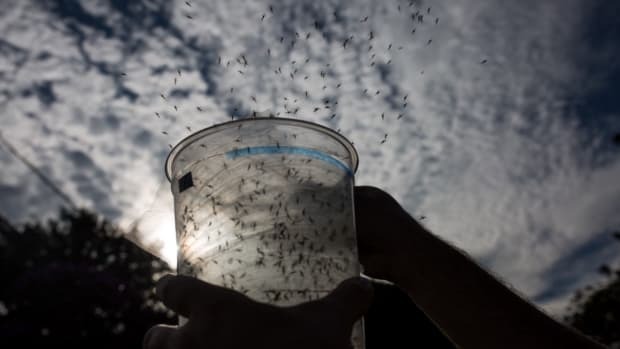 In an April op-ed in the New York Times, Nina Fedoroff, a molecular geneticist, and John Block, a former secretary of agriculture, argue that genetically modified mosquitoes may be “our best hope” for getting Zika under control. Other international field trials spearheaded by Oxitec have already shown considerable promise, suggesting Fedoroff and Block may be right. Last April, Piracicaba, Brazil, became the world’s first municipality to partner with Oxitec. The resulting effort, a one-year pilot program located in a district of 5,000 residents, reduced mosquito larvae by 82 percent. 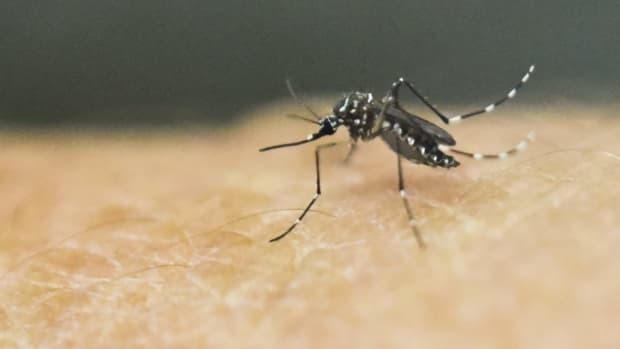 Similar trials in Brazil, Panama, and the Cayman Islands suppressed Zika-carrying mosquito populations by 90 percent — “an unprecedented level of control,” according to Oxitec. Oxitec officials plan on visiting Key Haven residents door-to-door with the hopes of dissuading locals from voting against the field trial this fall. Meanwhile, four new Zika infections were confirmed in Miami just this morning, bringing the total number of cases to at least 21 people in recent weeks. A divided Congress remains at a standstill and has yet to agree on a reasonable budget to dedicate to the virus. A vaccine, though in the initial stages of human clinical trials, remains a far-off milestone. Genetically engineered mosquitoes, on the other hand, are here and ready to go. And as Zika continues to spread throughout Florida, it’s clear that their all-natural Aedes aegypti counterparts aren’t leaving any time soon.